Euroserve is a dedicated European vehicle service facility and we have been specialising in VW and Audi service, repairs and diagnostics for over 25 years and more recently the Skoda range. Along with VWs other marque, Seat, the company is often referred to as VASS or just VW group. At Euroserve we employ factory trained technicians using the factory diagnostic equipment to diagnose and repair VW and AUDI faults and problems seen in these complex modern vehicles. The VW group use a unique complex electronic control and diagnostic operating system. This system requires upgrades and programming to rectify problems and to keep the systems current. Coding and adaptations are also required when carrying out electronic component replacement. Battery replacement also requires coding on the latest models. Here at Euroserve we have been able to carry out factory level software coding and programming since 2008. Without this facility many new components will not operate on the vehicle after installation. Manufacturers are going down this path to try and stop second hand components being used and forcing repairers to only buy and install new and very expensive parts. Very few independent workshops have this equipment due to its high initial cost of purchase and continual annual running costs for software and updates, from the VW factory. Here at Euroserve we carry a comprehensive range of genuine VW/AUDI and OE (original equipment) parts, we can also import directly from Europe and the USA. This enables us to pass on the savings of original equipment component to you, the customer. With the recent influx of cheap counterfeit parts from China and other Asian countries the market has been flooded with original looking but inferior replacement parts. These components are fraught with danger and have contributed or caused thousands of catastrophic failures. At Euroserve, we will not use these parts. Our goal is to give, you the customer, substantial savings on quality service and repairs when compared to the VW and AUDI dealerships. We only use genuine or original quality parts. Obviously, because of our high standards, we will never be able to compete on price with workshops using cheap parts and generic scan tools, but if you are looking for a true Volkswagen group dealer alternative, that operates to factory level standards, using factory level equipment and procedures then please give us a call to experience great service combined with great savings. To keep annual advertised service costs down European manufacturers introduced extended service intervals, VW and AUDI introduced long life servicing pushing services out to two years and over 20,000km, as such they require specific oils and filters. These are expensive but are designed to last longer. Euroserve only uses the correct oils. Valvoline and Castrol are our major suppliers. Castrol is the factory supplier to the VW group, and Valvoline have VW factory accreditation for their lubricants. The extended service intervals have caused a lot of problems with VW/AUDI engines especially in diesels and city driving conditions. We at Euroserve recognised this problem many years ago and recommended reduced service intervals to our customers, with a maximum of 15,000km for petrol engines and 10,000km for diesel engines. Those that followed the reduced intervals have experienced non of the severe failures we see in the poorly serviced or long life serviced cars. In fact VW themselves have now reduced the service intervals on many of their vehicles to 15,000km petrol engines, and 7,500km for the diesel engines. By only using approved products, servicing your vehicle with Euroserve does not affect your manufacturers and statutory warranties, in fact, the opposite can be the case. By Euroserve servicing your vehicle during the warranty period we will inform you of any warranty problems. The dealers may put these repairs off until after the expiration of the warranty, at which time they can carry out the repairs at full retail rates to you. By having your VW, AUDI or Skoda serviced by Euroserve we could save you, and have saved customers thousands of dollars in unknown warranty issues. 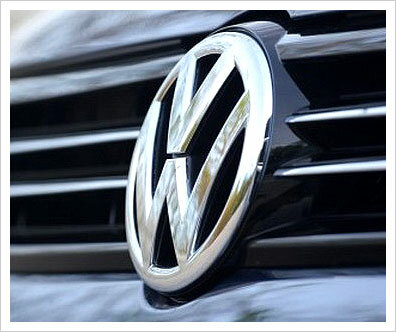 VW group vehicles now require the use of specialist equipment to reset service indicators. VW vehicles require this specialist equipment to know the oil and filter grades being used, as well as country of operation. Modern VW and AUDIs do not have oil level dipsticks, and as such require specialized equipment to set the oil levels, as well as reset oil and DPF (diesel particulate filter) counters. Euroserve is a VW group specialist that has invested hundreds of thousands of dollars in diagnostic and factory level equipment, this enables us too offer you a true "independent" VW and AUDI dealer alternative. Euroserve carries out all VW and AUDI repairs in-house, unlike dealers, we can re-manufacture some vehicle assemblies in-house. VW and AUDI went very big into the CVT transmission (Constantly Variable Transmission) this was a very troublesome transmission and is one of the few assemblies we do not always re-manufacture these are subcontracted out to a VW approved repair facility. More recently the VW group has moved to the DSG transmission, this is two manual gearboxes with two clutches controlled and activated by a computer to make the feeling almost identical to that of a conventional automatic transmission. These units also are having problems, but again Euroserve has invested in the equipment to repair and overhaul these assemblies. Customers are often surprised to find out that we are also auto electricians. Compared to modern electronics, the electrical side of a vehicle is very simple, all the systems on VW and AUDI’s have now moved to electronic CAN Bus and optic fibre, where many of the electrical systems are controlled by modules or computers, commonly known as multifunction control modules. These complex systems allow data to be transferred at high speed, as well as allowing the customer the ability to personalise many features of the onboard electrical and infotainment systems. At Euroserve we have a dedicated VW technician to diagnose all those strange warning lights and messages that can be displayed on the drivers information screen, such as SRS, DSTC, ABS, DPF emissions and Catalysts. VW also use the new tyre monitoring system introducing a new level of complexity. 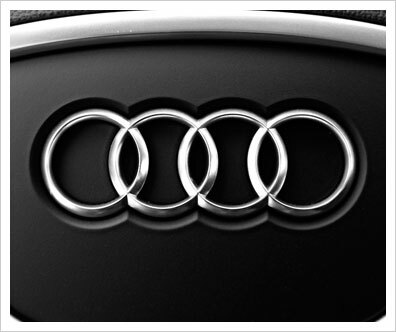 We are VW AUDI specialists and this allows us to diagnose most problems very quickly. As with all vehicles, most problems can be common to specific models, so we have almost certainly seen the problem before and can often offer an economical alternative repair saving money and down time. For many years now Euroserve has believed that the future of the automotive industry will heavily involve the modern common rail diesel engine, and as such we have been investing in the technology associated with this type of fuel. The VW group probably has the most prolific line up and acceptance of diesel vehicles. Since Australia improved the diesel fuel quality, the VW group have in the last few years introduced the new Euro 5 specification common rail diesel engines into all their models. These engines use diesel particulate filters (DPF) DPFs are filters incorporated into the exhaust system that store the black polluting soot normally seen exiting the exhaust, which is one of the biggest off puts when customers are choosing between diesel and petrol engines. DPF’s almost entirely eliminate visible exhaust emissions. When the DPF reaches a predetermined soot level, fuel is added and ignited in the DPF which turns it into a little furnace, burning the soot at high temperature and emitting normal exhaust gases that are then converted into less harmful gases by the catalytic convertor. This is known as a DPF regeneration. Unfortunately DPF regeneration will only take place when driving consistently at road speeds above 70kmh, so sustained stop start city driving will cause the DPF to reach saturation which will cause warning messages and loss of engine performance. The use of specialised equipment is then required to carry out a forced regeneration, Euroserve can perform this service as well as mentioned above the ability to bring a DPF back from the dead.